Over a number of stages, C W Chandler Architects designed and project managed the redevelopment of the existing Colmslie Hotel. The foyer and entry upgrade in the first stage was the initial step towards enhancing connectivity throughout the venue. This involved opening up the 2nd floor over to create a mezzanine storey with function spaces, and featuring rich timber detailing throughout to tie each of the spaces together. The Bar was completed during the 2nd stage of development, and played further with the rich timbers from the first stage. The design connected the existing areas with a new outdoor beer garden and new gaming/sports lounges. The motel was completed as the fourth stage of works for the Colmslie redevelopment and was the first foray into new accommodation for the McGuire's. The new 49 room motel replaced the existing 1970's motel on site. 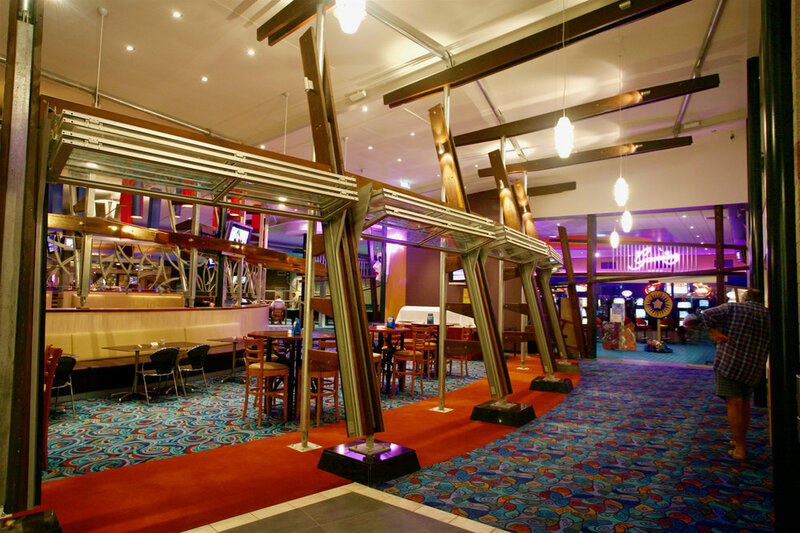 The motel addition services conferences and events in the new function rooms with onsite, accessible accommodation and catering facilities. The new development also incorporated new administration and office areas for the hotel, and now functions as the central administration for the McGuire's.